Ever since Dodge first announced the all-new Demon, we have been salivating over its insane performance figures. 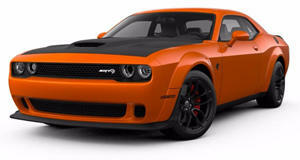 The car is said to produce 840 hp from its 6.2-liter supercharged V8, and run through the quarter-mile in 9.65 seconds. Of course, in order to hit the fastest times on the drag strip, owners will have to put race gas into their cars. The Demon has the unique ability to switch between normal 91-octane pump gas and 100-octane race fuel, which is a first for a production car. So how does the different octane gas effect performance? So far, we haven't seen too many practical demonstrations of the Demon's power, because it hasn't reached customer's hands. A2Speed was able to get their hands on one for a dyno test to see if those quoted power figures were legitimate.